The Las Vegas woman, who is accused of drugging her adult son to death before attempting to take her own life, returned to a courtroom Tuesday. Joann Hafer, 51, was charged with murder in connection to the death of her son Matthew Hafer. Joann Hafer was ordered to return for another preliminary hearing on Oct. 30. A Las Vegas Metro police report said the body of Matthew Hafer was found on July 27 decomposing in a home he and his mother rented in the northeast end of the Valley. Joann Hafer was found unconscious along with Matthew Hafer’s body, the report said. According to police, officers found several notes and envelopes in the room where the two were found, many of them signifying a will and final instructions. In addition, police found several prescription pill bottles and a white powdery substance on Matthew Hafer’s shirt and pants. Joann Hafer was taken to North Vista Hospital to recover. Residents living at the home with the Hafers told police, in the report, Matthew Hafer had the demeanor of a small child and required supervision from his mother. In addition, Matthew Hafer, according to those residents in the report, had consistent seizures. Police went on to make contact with a person whom Joanne Hafer sent a letter to before the 911 call. Police said the letter contained instructions for the cremation of Joann Hafer’s and Matthews Hafer’s bodies. Joann Hafer told police she dissolved an unknown amount of medication in water and gave the mixture to Matthew Hafer in order to sicken him. She also took the medication in an attempted suicide, police stated in the report. Later, police confronted Joann Hafer about the letter. Police said that at first she denied having written it. 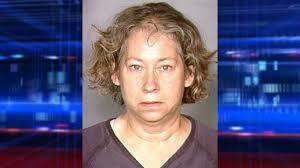 Police said Joann Hafer eventually admitted to writing the letter and took responsibility for Matthew Hafer’s death.